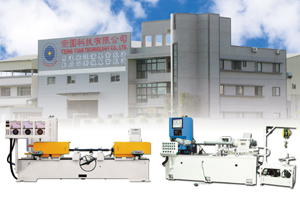 Tzung Yuan Technology Co., Ltd., originally incorporated in 1980 as Wu Tzung Electrical Machinery Co., specializes in making both traditional, computerized balancing machines, claiming its specially designed machines fully meet customer's requirements for mass production, reduced production cost, efficiency, reliability and extended operating life. Mainly supplying traditional to digital micro-computerized balancing machines, the maker has a seasoned R&D team and claims to have built solid reputation in the U.S., Japan, the Philippines, Iran, India, Indonesia, Vietnam, Dubai, China, Hong Kong, Sweden, Malaysia and Thailand. Besides supplying high-tier products, the company has expanded into China by establishing Dongguan Wuzhen Electrical Machinery Corp., Kunshan Pufo Machinery Equipment Corp., and Jiangsu Beiqiao Corp. as subsidiaries. Tzung Yuan has developed balancing machines for various applications as automotive assembly, supplying car-axle-assembly balancer, micro-computerized vertical balancer; standard micro-computerized vertical balancer and other digitized models, which are widely employed by manufacturers of cutters, motors (especially for home appliances), automotive brake disks, pumps, flywheels and fans etc. Besides supplying balancing machines, A+B epoxy resin, and AC/DC power supplies, the company also provides vocational training and consulting. Huang Wu-tzung, the chairman, says the company has developed a series of micro-computerized balancing machines to replace traditional models, being very confident of their sales due to superior features that help customers further upgrade product quality. Tzung Yuan’s standard micro-computerized vertical balancing machine.